Greater Spotted Eagle Tõnn´s nest life. The nest is located somewhere in the south of Harju county. By DNA test he was verified as pure GSE as well as his mother Iti, also well known for our forum, who was equipped with transmitter in year 2009. 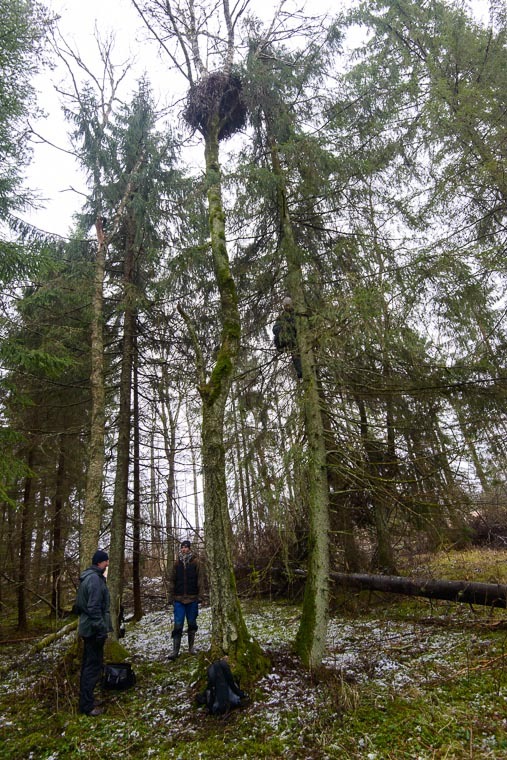 In year 2010 Tõnn´s home-nest was known as only place where both, female and male were GSE. It exists till now and Iti has had several offsprings. 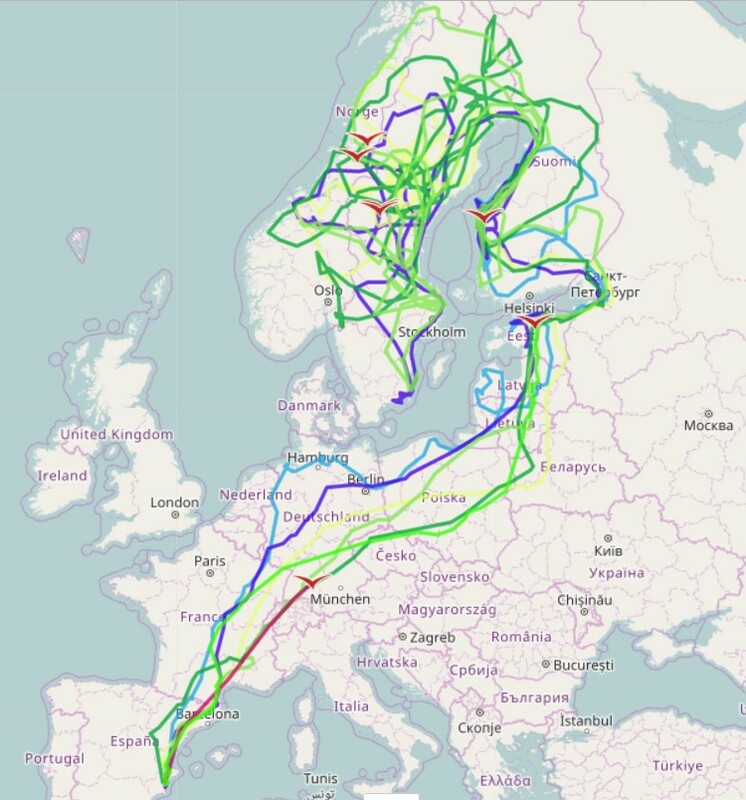 Tõnn started his first migration in 25th September 2008, crossed several countries and stopped for wintering in Spain, El Hondo wetlands which has been his wintering place till now. As rare species in Estonia and other countries he excited great interest among ornithologists in countries he visited during migration. In total he has visited 15 countries. There spent winter and left his wintering grounds on April 13th and got himself moving in a northern direction. 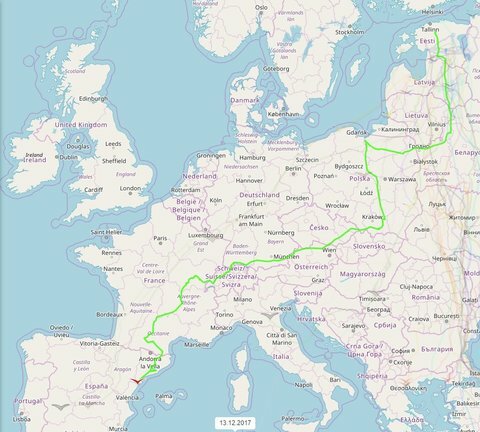 So the eagle visited also Nederlands and directed by the sea - moved towards to homeland. But Estonia was not a destination for Tõnn - he flew to Finland and spent all the summer near Vaasa (western Finland). On second fall migration Tõnn stopped also in southern Estonia, during a harvesting of crops. Afterwards moved again to Spain, crossing a Switzerland as a new country for him. 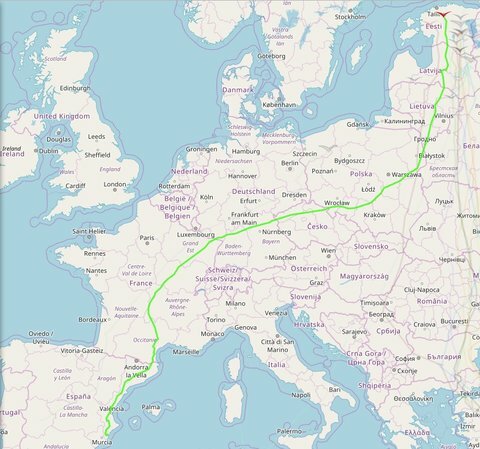 Third summer Tõnn spent mostly in Sweden and used migration route directly over Danish straits. After 2014 transmitter stopped working but we knew that Tõnn was alive and well from several places he was spotted. 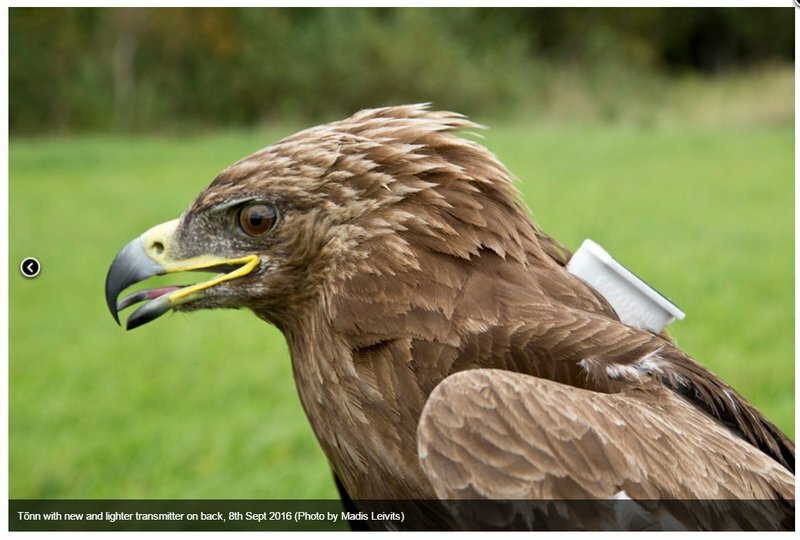 In spring 2016 during the spring camp member of Eagle Club Renno Nellis found a breeding Greater Spotted Eagle in Harjumaa county and for surprise with transmitter on back. 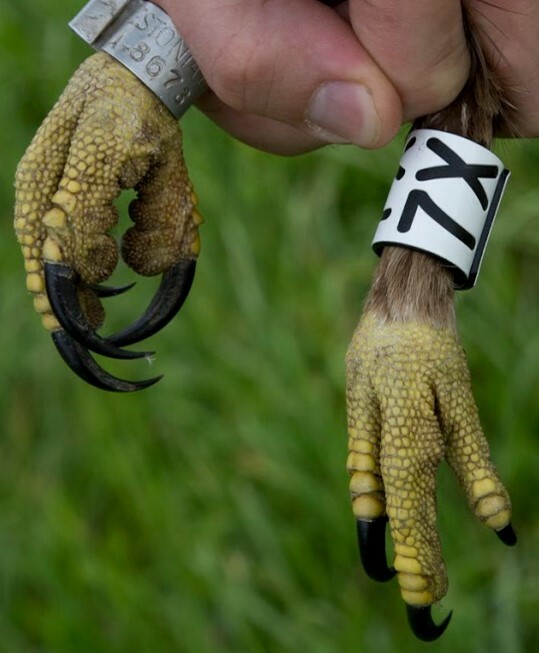 To get information about the tagged male eagle, Eagle Club members caught it in the beginning of September and it appeared to be our old fellow Tõnn. So Tõnn started to breed either in 2015 (then not in the same place, because there was nesting Lesser Spotted Eagle in 2015) or rather in 2016 and was also successful. A mate of Tõnn has no rings, therefore we don't know her origin. Old transmitter was removed and as there wasn´t damages on the skin, new refurbished transmitter of Ecotone production was installed. Tõnn got also new white ring with code 7X. 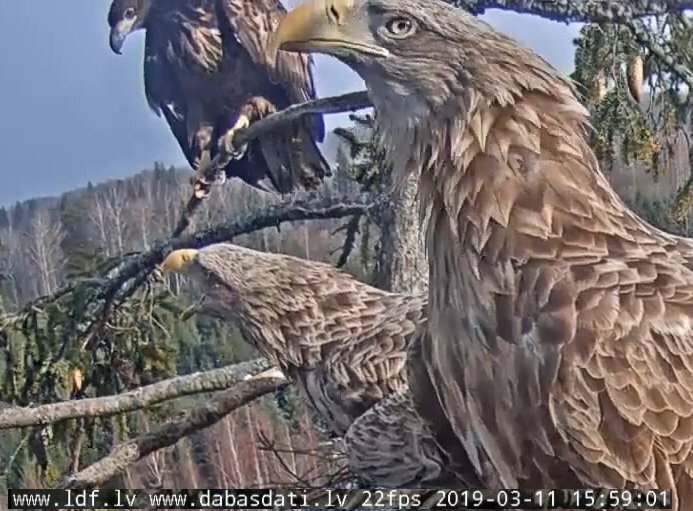 As Tõnn is so popular all over Europe, Eagle Club decided to install webcam on his nest this year. He started his journey home on 22th March 2017 and arrived on the nest 4th April at 15.00. 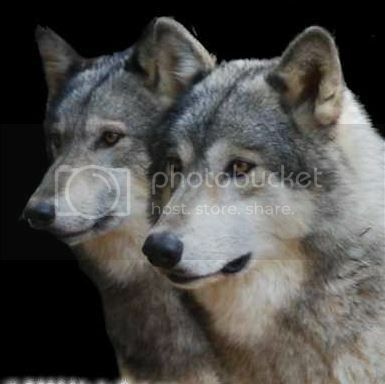 This post has been created by using text, pictures and screenshots from http://birdmap.5dvision.ee/index.php?lang=en . Some facts are from Estonian media. Greater Spotted Eagles are large migratory raptors that live across Europe, the Middle East, Asia, and parts of Africa.They occupy lowland forest and forest edges near wet areas, including meadows, bogs, and marshes, along with river-valley woodland. They are complete long-distance migrants, they winter in the Middle East, Southern Europe, Central and Southern Africa. The migration to Africa and back takes place mainly via the Bosporus Strait, the Middle East and the Nile Valley. 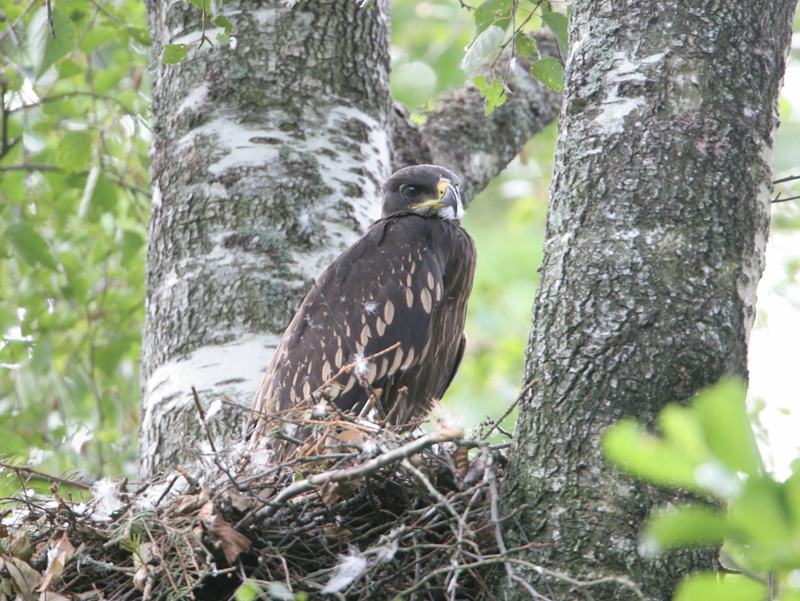 The greater spotted eagle arrives in Estonia at the end of March and leave in September, but individual birds can still be sighted in October. Colour: very similar in general to its closest relative the lesser spotted eagle, which shares part of its range. Adult has dark brown with slightly paler flight feathers. Underwing-coverts generally darker than flight feathers. 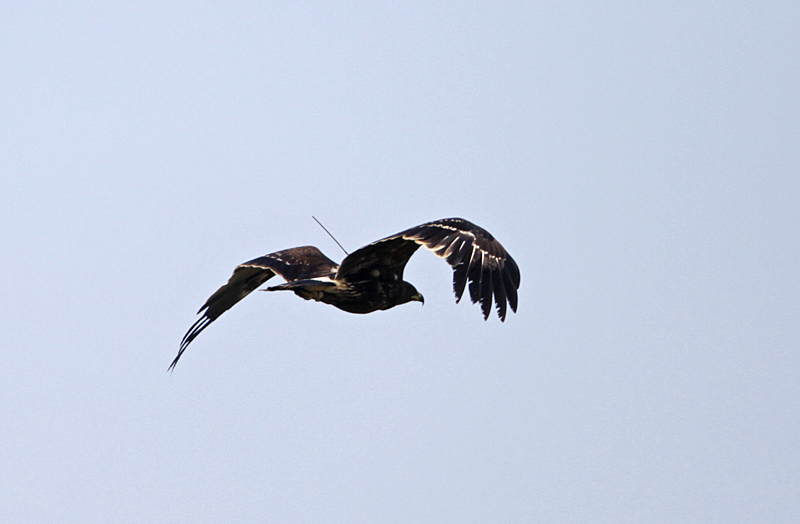 Bands of white spots across upper-wing of juveniles. Greater Spotted Eagles eat frogs, snakes and lizards, waterfowl, fish, insects, carrion, and small mammals up to the size of hares. GSE usually construct their nests themselves and inhabit them repeatedly on subsequent years, especially if not disturbed. Occasionally they use the old nests of other larger birds of prey (the common buzzard, the northern goshawk) or of the black stork. Lays 1–3 eggs in a tree nest. As a rule only one eaglet survives because of cainism. 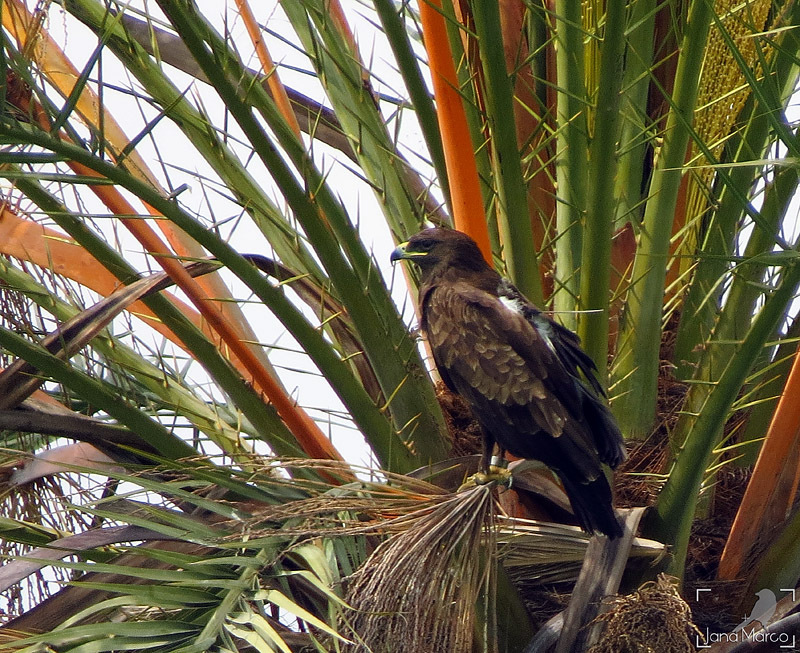 Breeding was succesful with one fledged eaglet. Triin! Thank you. I know, it´s impossible to take such picture in another way. Great! I am looking forward to seeing Tonn, at home, in his own country at last. He is a well-dressed, handsome young man. I hope we have a great season! The sounds are interesting, that's a start. I hope, really hope the nest will succesfull this season. oh and Yes, the sounds are beautiful. Two buzzards are circling above the wood.